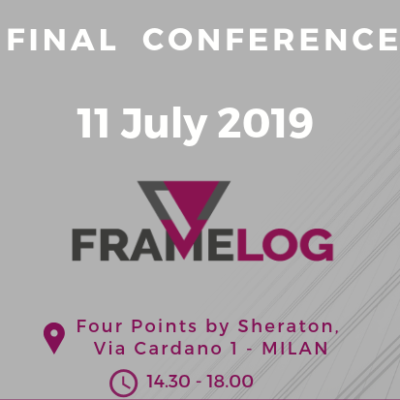 FRAMELOG Partners are pleased to invite you to take part to the Final Conference of the Project. The FRAMELOG project was aimed at the development of the “Knowledge Triangle” by linking higher education institutions (HEIs), research organizations and business in the field of Logistics and Supply Chain Management. Following three years of research, study and work the Consortium will present the main findings and results related to the Project with the participation of international speakers in order to discuss about drivers and transormation factors of Logistics. Don’t miss this chance to meet in one event Universities, Logistics’ Associations, Business and Research Centre and be part of the future of Logistics and Supply Chain Management! La partecipazione è gratuita ma richiede iscrizione, essendo i posti limitati.